Thinking back to when I applied for my first credit card, the entire process was pretty straightforward and simple. Despite being a full-time college student with little income and zero credit history, I was approved with no problem. Then again, this was the late 90s and during a time when banks would give broke students a credit card like it was candy. It's not like this today. Applying for a credit card can build your credit history. But with tougher credit and income requirements, instead of receiving a credit card in the mail a couple weeks after submitting an application, you might get a rejection letter. Your first reaction might be anger, and you might say the credit card gods are against you. But there's a reason for the bank's decision. To position yourself for an approval, you have to know why you were rejected in the first place. There are no rules regarding how many credit cards are too much. So if you already have a handful of credit cards in your name, it's possible to get approved for a new card as long as you're managing your existing accounts responsibly. Some banks, however, might reject your application for a credit card if your current card credits are maxed out or close to being maxed out. You might shrug off high balances, but it is a big deal to banks. This is because maxed out credit accounts increase the probability of defaulting, and banks don't want to risk losing money. Before applying for a credit card, work on paying down the balances you already have. Ideally, you should keep credit card balances below 30% of your credit line. 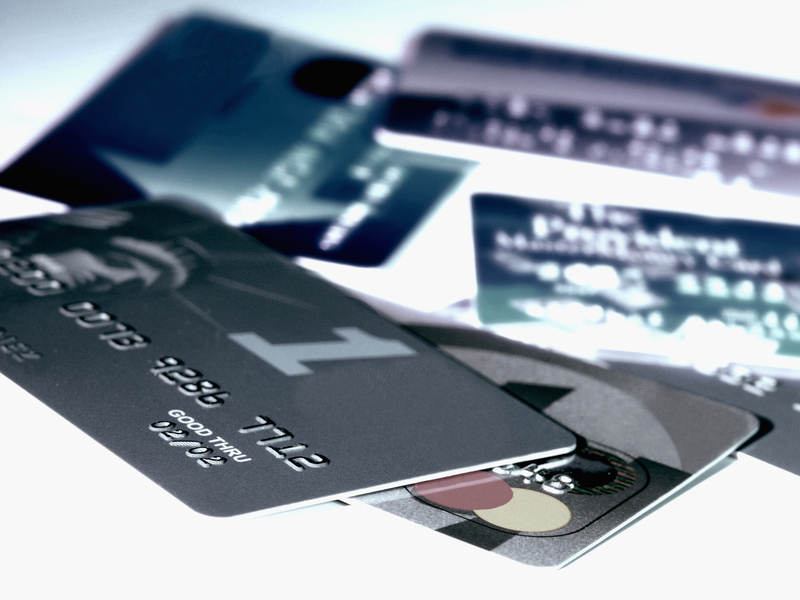 Credit card companies also look at your number of recent credit inquiries when deciding if you qualify for an account. An inquiry appears on your credit file every time you submit a new application for credit and banks pull your credit history. When establishing credit, some people make the mistake of applying for as many accounts as possible to increase their odds of an approval. What they don't realize is that each credit inquiry lowers their credit score by a few points, making even harder to qualify for a credit card. An excessive amount of inquiries is also damaging because some banks are hesitant to extend credit to applicants who have multiple inquiries within a short span of time. The bank may assume you're desperate for credit or experiencing some sort of financial trouble. Negative information can stay on your credit report for up to seven years and have an immediate negative impact on your credit score. The good news is that these items aren't as damaging to your credit as time goes on. So if you have a 60-day late payment on your credit report from four years ago, most banks will overlook this item. They're more interested in your recent credit history and how well you're managing credit today. With that said, a bank might reject your credit card application if late payments, collection accounts, charge-offs or judgments have been added to your credit report within the past 12 to 24 months. Sometimes, no credit is just as bad as having poor credit. When you apply for a credit card with a blank credit history, banks are unable to gauge how well you manage debt. And unfortunately, this can result in a few rejections. The trick to overcoming this hurdle is applying for credit cards created specifically for individuals looking to establish credit. These include secured credit cards, as well as unsecured credit cards. Unsecured credit cards don't require a security deposit, but they typically have higher interest rates and lower credit limits. Just because you're a legal adult at 18 doesn't mean you can get a credit card. If truth be told, getting approved for a credit card is challenging for anyone under 21. This is because the Credit Card Act of 2009 requires applicants under 21 to have a cosigner, such as a parent, a guardian or another adult over the age of 21. The only exception is when an individual under 21 can provide sufficient proof of independent income and assets to manage minimum monthly payments. Because most working adults have at least one credit card, some people think credit cards are accessible to everyone—which unfortunately, isn't true. Credit card companies want customers just as much as consumers want credit accounts. Even so, banks are in business to make money, not lose money. And if you don't fit their criteria of the ideal applicant, you won't get an account. To move the odds in your favor, do your research and make sure you know what banks look for in an applicant. The post Denied a Credit Card? 5 Reasons Why Your Application Was Rejected appeared first on The Jenny Pincher. Many food items go on sale at regular intervals. Stock up when your favorite products are discounted to tide you over until the next sales bonanza. You'll tend to find that your favorite foods are more affordable – and taste better – when they're in season. Consult this chart for a look at when common foods are in their prime. When it comes to food, if you don't use it, you'll lose it. Buy fresh ingredients that can be used in a range of recipes so you don't waste them. Commit to store loyalty programs. Many grocery stores offer loyalty cards that earn you deals on in-store items. Some cards may give you discounts on gas or allow you to save digital coupons on your card. Target, Wal-Mart and other general stores may post competitive prices on food items. Add them to your shopping rotation. Skip the bottled water aisle. Stop buying water at the grocery store. You'll pay less for each glass of cold water by using a filter in a water pitcher or on your faucet. Store brands often cost less than their name-brand counterparts – and they often taste exactly the same. Pre-made salads and pizzas and pre-cut fruits and vegetables may look tempting on a busy weeknight, but they come at a high markup. Buy large quantities of nonperishables, such as pasta or rice, or frozen items at your favorite supermarket or wholesale store. Just make sure you have room for storage. Getting your protein in meat form is an expensive proposition. Ground beef cost $3.67 per pound on average in September 2016, according to the Bureau of Labor Statistics. Dried beans, on the other hand, ran just $1.37 per pound. Check out the weekly ad. Check your weekly circular for sales on your favorite items and plan your meals around those weekly discounts. Another way to get the best deal? Download the store's mobile app. Safeway's app, for example, allows shoppers to scan bar codes for deals and load digital coupons instantly. It's a challenge to compare prices when foods come in different container sizes. Drill down to the unit price when comparing the value between one item and the next to make sure you're getting a true apples-to-apples comparison. Leave the credit card at home. If you need extra motivation to stick to your budget, leave the credit cards at home and just bring cash. It's an old-fashioned technique, but it will keep you from busting your weekly food budget. Take stock of your pantry before heading to the supermarket. That way, you'll reduce the risk of purchasing duplicates or more than you can eat before items expire. Scan the bottom and the top. Stores routinely place the priciest items at eye-level – and hide the cheaper options on the top and bottom shelves. Make sure to scan the entire vertical length of the shelf before committing to a brand. Make nice with the sales associate. A good relationship with the supermarket workers – especially those who work behind the meat, fish and baked good counters – can yield valuable intel on upcoming sales and deals. Don't use coupons right away. "Stores know weeks ahead of time what product coupons are coming out in the inserts, and they may leave the corresponding products at higher prices intentionally," Jill Cataldo, consumer coupon expert and founder of Super-Couponing, told U.S. News. Get in, get food and get out. Dilly-dallying at the supermarket can cost you more than time. The longer you spend at the store, the more you spend on food. So, get in, stick to your shopping list and get out before temptation gets the best of you.